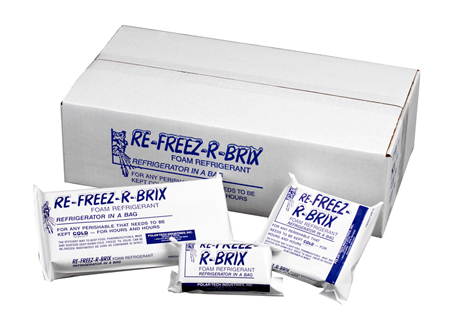 Re-Freez-R-Brix™ is a block of rigid foam that holds its shape frozen or thawed and is reusable. These are non-toxic and sealed in a heavy plastic pouch. Our RE-FREEZ-R-BRIX™ are rated the best in foam refrigerants. Other products just don’t compare. Prevent thawing… Keeps frozen products (that are packaged to minimize air space properly) chilled for an extended period of time. Protect from warming… Keeps perishables requiring a temperature range of 32°F to 60°F at a safe, uniform cool temperature for over 12 days. 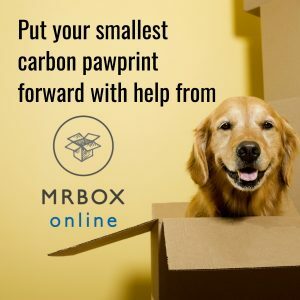 64 Ounce Foam Bricks 9x4x3"